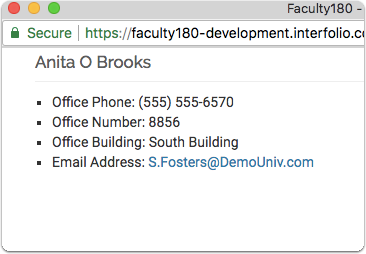 Previously known as the Search Faculty tool on the Faculty180 Dashboard, now it is easily accessible from any page via the sidebar. 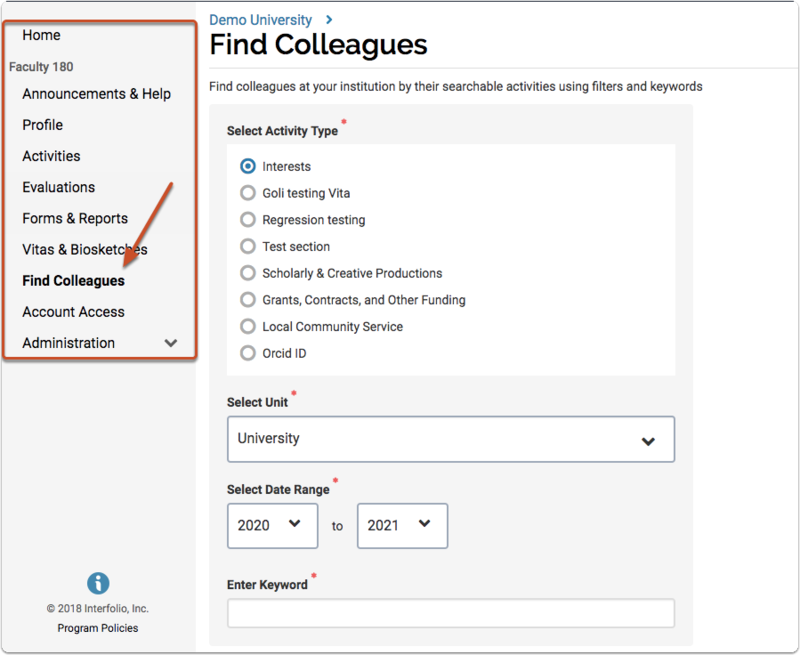 Click the Find Colleagues link from the navigation bar. The page will display a series of search queries, by type, that can be selected with the radial option on the left. After navigating to the page via the navigation bar, as displayed above, you can now fill out out parameters for the search. 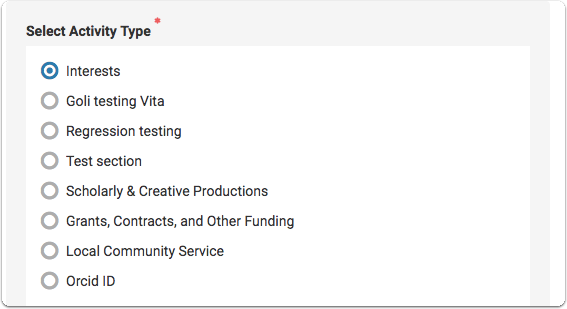 You can only choose one activity type at a time, these are selected by the institution and if you have any questions about what options you have available, then reach out to the administrator at your institution that manages Interfolio. Type the name of the unit into the text box to search for the relevant unit name. Type a keyword in to search for, and then submit the search. After clicking the Search button, the results will display below, with the user's contact information. 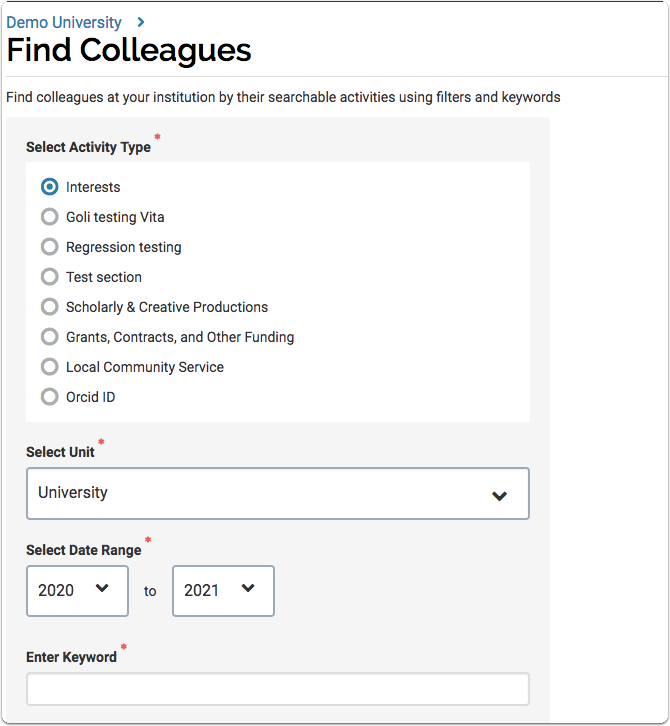 What shows up on this list is controlled both by the institution and the faculty user while working on the specific activity. Click the contact button on the right side of each row to bring up their info and details.